Nestled high on the hill at Wesquage Beach in Narragansett lies this large home with magnificent ocean views, steps to one of the best private beaches in all of coastal Rhode Island. 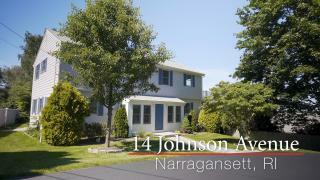 Listen to the pounding surf as you relax on the multi-level decks of this completely renovated home. This is truly resort living at its best.